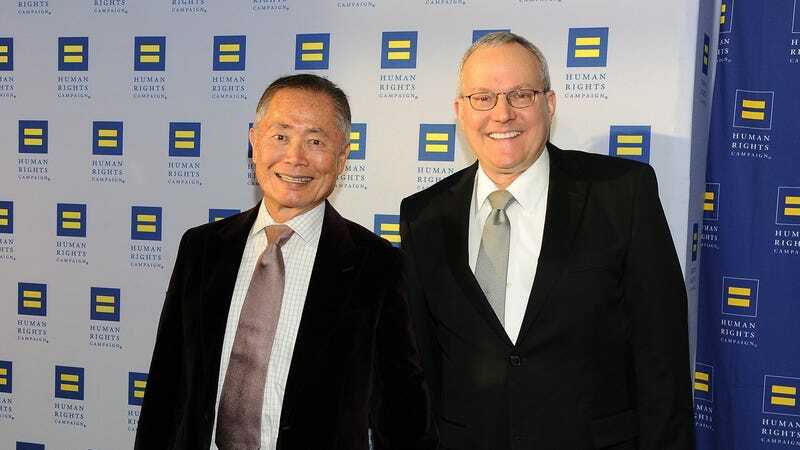 George and Brad Takei at the Human Rights Campaign Los Angeles Gala in 2015. Image via Getty. The allegations are staggering. Takei, famed for his role as Sulu in the original “Star Trek” series, is now equally known as a funny, on-point critic of racist and homophobic policies, with a Twitter following of millions. I’m writing to respond to the accusations made by Scott R. Brunton. I want to assure you all that I am as shocked and bewildered at these claims as you must feel reading them. The events he describes back in the 1980s simply did not occur, and I do not know why he has claimed them now. I have wracked my brain to ask if I remember Mr. Brunton, and I cannot say I do. But I do take these claims very seriously, and I wanted to provide my response thoughtfully and not out of the moment. Right now it is a he said / he said situation, over alleged events nearly 40 years ago. But those that know me understand that non-consensual acts are so antithetical to my values and my practices, the very idea that someone would accuse me of this is quite personally painful. Brad, who is 100 percent beside me on this, as my life partner of more than 30 years and now my husband, stands fully by my side. I cannot tell you how vital it has been to have his unwavering support and love in these difficult times. Thanks to many of you for all the kind words and trust. It means so much to us. Note: The original headline of this post read “George Takei Is As Bewildered as You Are By The Sexual Assault Allegation.” The body of the post also included a line “We are bewildered,” which has been replaced with “The allegations are staggering.” The intent was to paraphrase Takei’s own words in his Facebook post. Jezebel regrets the error.